Every business owner is familiar with the phrase “time is money.” This especially rings true if you run a restaurant or bar, where the pressure to deliver faster service is unyielding. In the restaurant industry, saving time directly results in increased revenue. Find a way to cut down on time spent during the service process, and you can serve more customers, turn more tables, and make more money. An iPad restaurant POS is untethered, meaning it is able to go wherever you need it to go, and doesn’t rely on cables to connect it to the internet. This essentially speeds up the process by allowing customers to pay at the table, reducing the number of trips servers take to and from the table and allowing for faster table turns. An additional time-saving feature of a mobile POS tablet many servers enjoy is its ability to input orders directly into the iPad POS while the server takes them. On top of saving time, this feature increases order accuracy and reduces waste. One of the main reasons Apple software has found worldwide popularity is because it is extremely user-friendly. A majority of employees are familiar with the interface from personal use, and those who aren’t familiar are able to quickly catch on to how the iPad restaurant POS works, because it was designed to be simple and intuitive. Having an easy-to-learn interface means that you can cut down the time you spend training employees to use the system. Intuitive software is faster and easier to operate, so this cuts down on time spent operating the device as well. Downtime is something business owners generally try to avoid at all costs. It cuts into your bottom line and halts productivity. Fortunately, you can eliminate downtime from outages by investing in the right technology. An iPad restaurant POS software worth its salt will allow you to fully function even in the event of a network outage in your restaurant or bar. 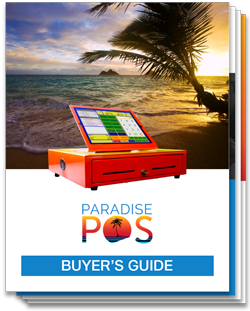 A select few iPad POS software options on the market today, like Paradise POS for example, even have the ability to send orders to the kitchen while it’s not connected. This effectively removes any downtime or deadtime you’d suffer from not being able to serve customers. With older POS technology, any updates or upgrades required adept technical experts to implement. One of the major advantages of using iPads for your point of sale is that the software that runs the point of sale operates in the cloud. 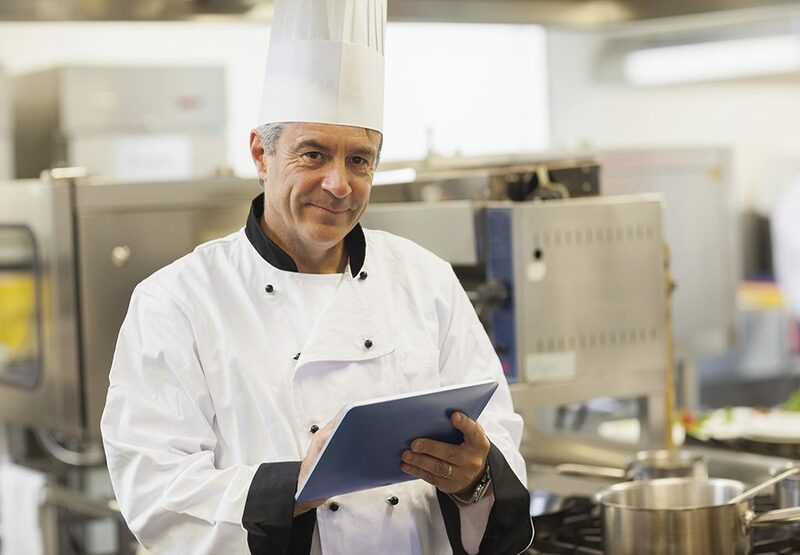 By selecting iPad restaurant POS software, you won’t have to spend precious time dealing with IT support when you could be focusing on more profitable areas of business. Updates to the POS software, security patches, and new releases are updated automatically, without requiring owners to manually initiate them. Manual inventory counts are often long, drawn out processes. Spending so much time counting inventory means you have less time to devote to analyzing your data and keeping costs under control. Especially for a business with liquor inventory, having accurate counts plays a key role in preventing loss. Inventory counts can go much faster, and the results are more precise when you can enter item amounts directly into an iPad restaurant POS system. In the end, one of the best actions you can take to increase your bottom line is to increase operational efficiency and save time. iPad restaurant POS software easily accomplishes this, putting more money into the pockets of you and your employees. Want to learn more? Contact us today to see how our innovative iPad restaurant POS systems can help you save time and increase your bottom line.